General Motors (GM) has rolled out a great feature which would be made public to the owners of 2011 Chevrolet cars. All drivers would be amazed to feel the very change or we might want to say the ”touch of tech”, as drivers can now access their vehicle information and OnStar services right from the smart phones. GM will offer free downloads of myChevrolet and OnStar MyLink apps, which give access to drivers offering them connectivity with the vehicles from their Android or Apple devices. Owner of the Chevrolet cars can now send remote vehicle commands with the use of OnStar’s unique connection to the vehicle. OnStar MyLink App gives exclusive access to OnStar technologies with which you can lock or unlock the doors, start the engine, AC command, etc. Diagnostic information is based on the last vehicle start. This is a great example of how we are focusing on smart technologies that address customers’ needs. With myChevrolet and Onstar MyLink apps, customers can search their owners’ manual, find their parking spot, and even unlock their car – right from their phone. 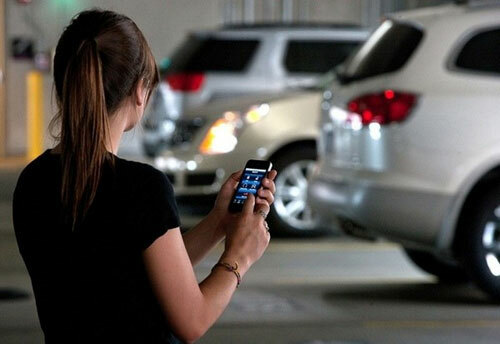 The App also offers location-based services which includes a parking reminder that allows drivers to save their parking location to a GPS-enabled map, while also keeping a track on the timer on how much time they have left on the parking meter. The Chevrolet driver can also send a request for roadside assistance or locate the closest Chevrolet dealership, if the car suffers from a fault. Can it send an SMS to your smartphone whenever the car door is opened ? Details are emerging..will let you know…keep tuned as i updated the post..